VariZoom’s new StingRay is the most versatile rod-based support system available. 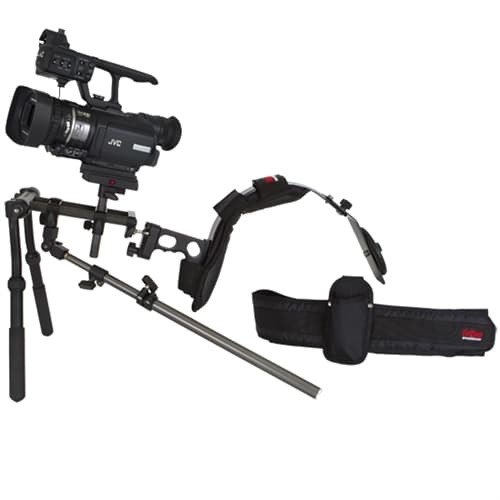 Quickly converts into several different modes for shooting video or stills. 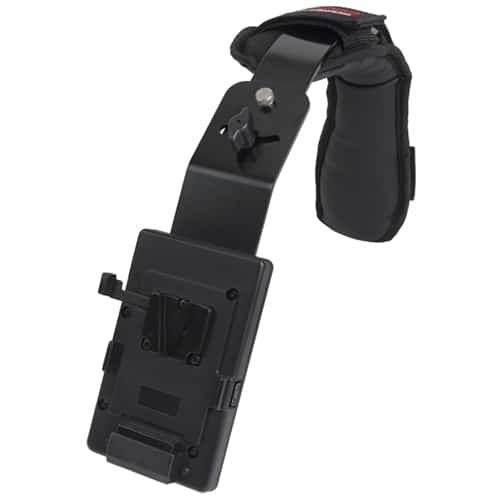 Configurations include simple 3-point mode, 3-point with dual adjustable handles, 4-point w/ dual handles and shock-absorbing body mount, and 4-point with dual handles, shock-absorbing body mount and counterweighted pivoting shoulder brace. Breaks down neatly for transport. VariZoom’s new StingRay is the most versatile rod-based support system available. 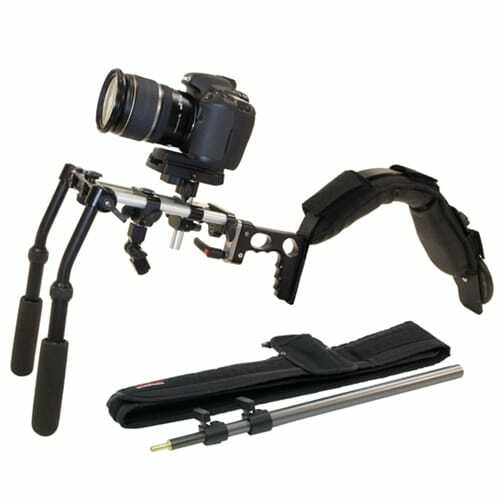 Quickly converts into several different modes for shooting video or stills. 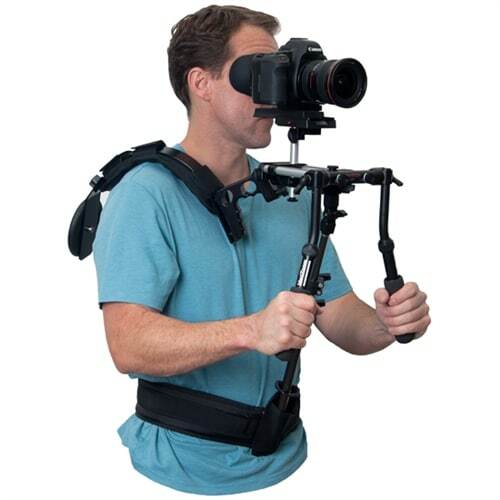 No less than five flexible configurations are possible, including simple 3-point mode, 3-point with dual adjustable handles, and 4-point with dual handles, shock-absorbing body mount and counterweighted pivoting shoulder brace. Breaks down neatly for transport. Works brilliantly with DSLR cameras like the Canon 5D Mark II (pictured at left), 7D, and 1D Mark IV, as well as traditional video cameras like the Sony EX and Panasonic HD series. 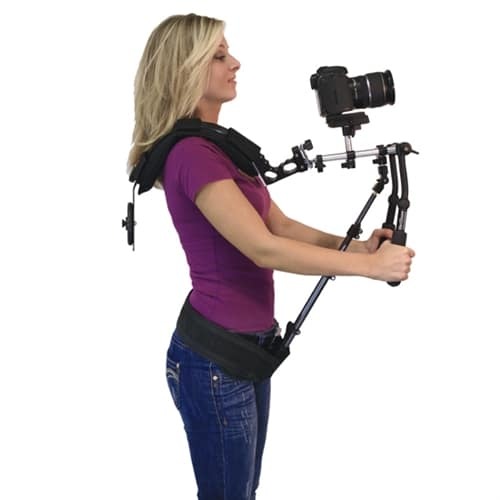 The StingRay is the ultimate support system for DSLR and video shooters. It includes all the Riglit components offered to date, and it can be rapidly converted into all of the modes shown below. 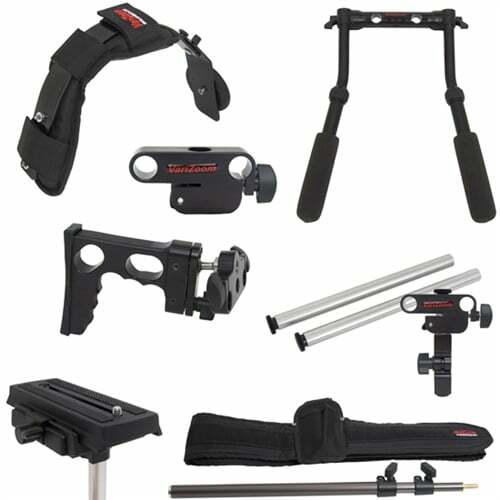 Ideal for shooters who prefer a 15mm rod system that accommodates Matte Boxes and other accessories. With five mode configurations, the StingRay offers flexibility like no other support and does so at a fraction of the price. 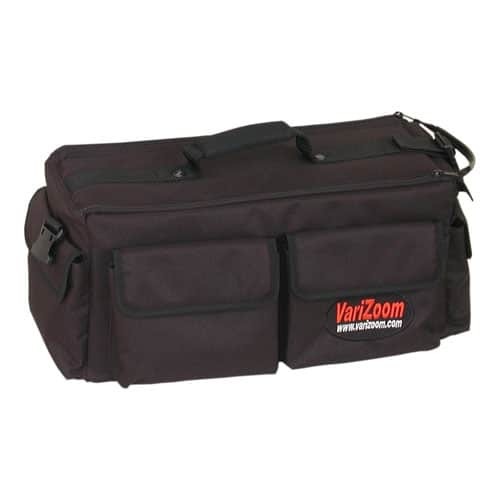 Backed by VariZoom’s long history of quality workmanship and customer support, you can buy with confidence and save money. This configuration is lightweight and flexible, but it gives you the balance support from the dual shoulder arches. The CineRig can be configured into 3 modes, and you can always add the pod with belt and dual handles later. 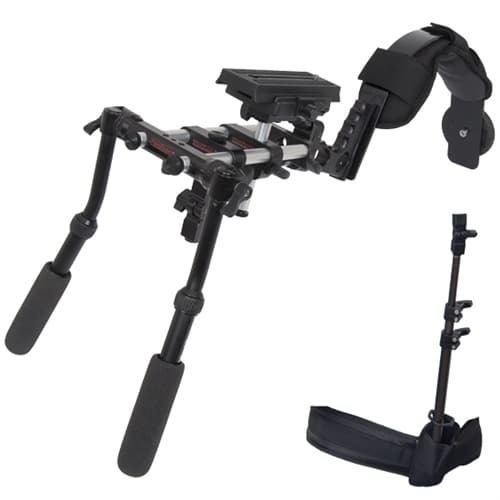 The Stinger is a StingRay minus 2Riglits- take away the shoulder arch and shock-absorbing body mount. 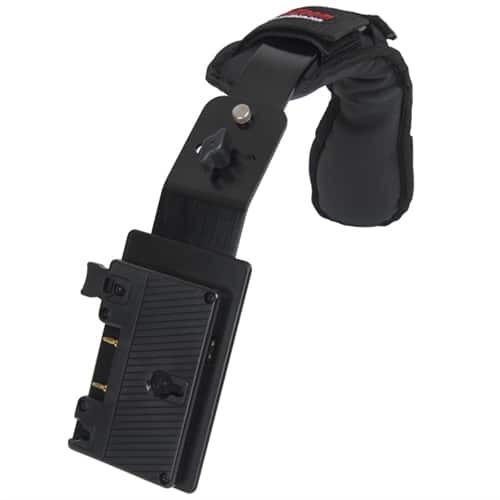 This unit still has the dual adjustable handles, which can be detached quickly to reconfigure into the pistol grip mode (see StingShot below). This is basically the StingRay without the Riglit shock-absorbing body mount. Ideal for quick shooting with constant changes. 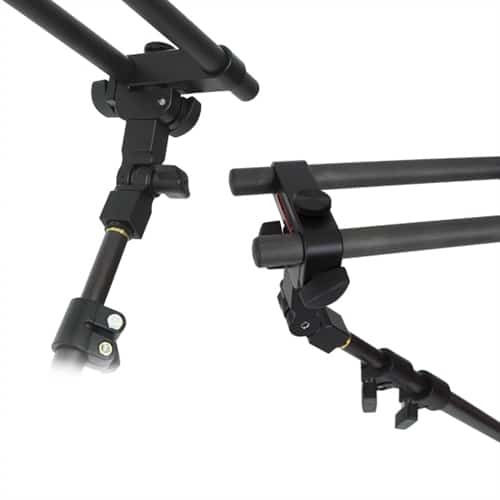 The Stinger 2 can be configured into 3 modes, and you can always add the shock-absorbing mount later for the extra support needed during an extended shoot. The StingShot is our most basic model to start with and build upon. Notice the articulating pistol grip that rotates to act as a kickstand, allowing you to set the entire unit down on a table. 15mm rod components work with other systems and combine to form the various StingRay series support models. The complete set of Riglits is shown to the left. With these accessories you can turn any plain 15mm rod-based support rig into an incredible acquisition tool offering stability and versatility for nearly every shooting situation.